If you are looking for a reliable paving contractor in Tampa, FL, or the surrounding areas, contact us at Watkins and Sons Paving. 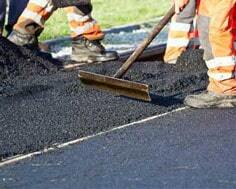 We have a reputation for high-quality service and have years of experience in installing asphalt pavement. Our professional and highly trained team is able to complete residential and commercial asphalt paving jobs, including driveways and parking lots of any size. At Watkins and Sons Paving, we pay particular attention to the base of the asphalt pavement we are to install as the asphalt is only as strong as the supporting base that it is laid upon. Our base work entails removing any loose vegetation and gravel that can compromise the stability of the base. We take every step to see that it lasts by using crushed asphalt, concrete, shell or limerock of the appropriate grade to ensure draining and to avoid the accumulation of water, which can cause your finished pavement to swell or shrink with the changes in the weather. An herbicide is used to eliminate any vegetation, and then the gravel is compacted to form a solid base. We lay our asphalt with state-of-the-art machines that will roll the surface into a layer of asphalt with a consistent thickness. The asphalt is rolled so that it has a straight and rough outer edge that is sloped to allow any top soil to attach itself to the layer in order to resist eroding. A PolyTar sealer is then applied to the asphalt to from a weatherproof membrane that will protect the pavement from harmful ultraviolet waves and prevent oil and water penetration. With the protective sealer, the proper drainage and edging and the sturdy gravel base, your asphalt pavement will last you for years. 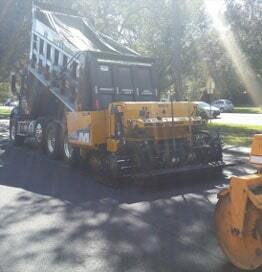 Watkins and Sons Paving can serve all of your asphalt paving needs for your home or business. Give us a call today to see what we can do for you.